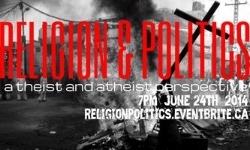 June 23 – 29: Religion and Politics, Chapel at Westside, Certainly? Not! . 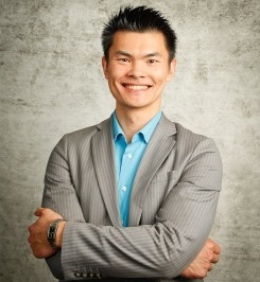 . .
Jonathan Chan leads the Company of Disciples. No one can say that Jonathan Chan and his Company of Disciples are afraid of a little controversy. Their “community of business and working professionals” does offer the tried and true – Bible studies, seminars, prayer – but they also like to mix it up with atheists and all sorts in an interesting series of discussion evenings. A couple of recent events were ‘LGBTIQ: Gender Equality in Public Schools’ and ‘Is Dawkins Right?’ On the 24th (Tuesday) the topic will be Religion and Politics. Not only are the topics controversial, but the group invites both “a theist and atheist perspective,” as they work in partnership with Centre for Inquiry Vancouver. “What perfect timing! Due to recent events we now have some points of entry for our upcoming event on religion and politics – [Canada’s new law on] prostitution Bill C-36, VSB’s approval of gender neutrality in public schools and now the fed’s approval of the pipeline! Did religion play a role at all? Were there any undercurrents of religious convictions that influenced the various stakeholders? All that for just $5 online ($10 at the door) at the Vancouver Club’s Bar 3. 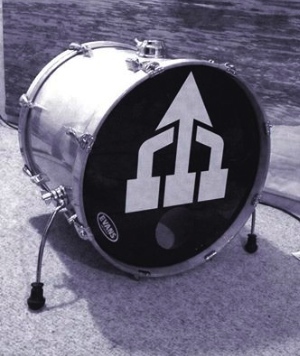 Earlier posts (here and here) have described how a group of young people have been meeting regularly for worship at John Oliver High School. This Wednesday evening (June 25), for the first time, Chapel will gather at The Centre, home to Westside Church, in the downtown core. Chapel began among youth who had attended Daybreak Point Bible Camp on Anvil Island, but has now grown far beyond that now. A number of youth pastors bring their kids to Chapel, but many young people turn up from around Metro Vancouver on their own now as well. There is usually a short message, but most of the evening is made up of worship. These are the questions and issues John Stackhouse will address next Monday (June 30) during a free lecture at Regent College. Certainly? Not! 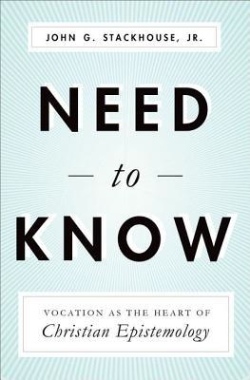 Radical Doubt, Radical Faith and Why We Can Believe Anything at All is the title of the lecture that launches Regent prof John Stackhouse’s latest book (his fourth with the Oxford University Press): Need to Know: Vocation as the Heart of Christian Epistemology. John is one of Canada’s premier commentators on religion and culture and who has lectured at Harvard, Yale and Stanford, as well as across Canada. ← Around Town: UGM connects, Voices Together, Word Guild winner . . .